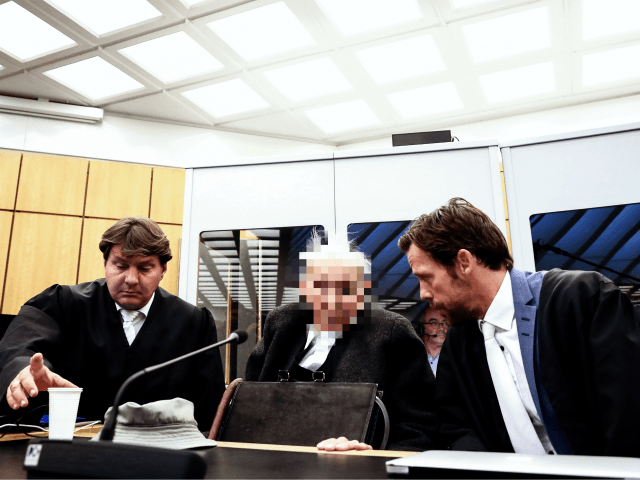 MÜNSTER (GERMANY) (AFP) – A former guard charged with complicity in mass murder at a Nazi concentration camp will testify at his trial in Germany on Tuesday, making a rare statement in one of the last cases of its kind. The 94-year-old German from the western district of Borken, North Rhine-Westphalia state, served as a watchman from June 1942 to September 1944 at the Stutthof camp near what was then Danzig, now Gdansk in Poland. At the opening of his trial last week, the defendant shed tears as he heard written testimony from Holocaust survivors who now live in the United States or Israel. The nonagenarian is charged with being an accessory to the murders of several hundred camp prisoners. These included more than 100 Polish prisoners gassed in June 1944 and “probably several hundred” Jews killed from August to December 1944 as part of the Nazis’ so-called “Final Solution”. Aged 18 to 20 at the time, and therefore now being tried under juvenile law, the defendant is “accused in his capacity as a guard of participating in the killing operations,” Dortmund prosecutor Andreas Brendel told AFP. If found guilty, he faces a sentence of up to 15 years in prison — even though, given his age and the possibility of an appeal, he is considered unlikely to serve any time behind bars. German courts subsequently convicted Oskar Groening, an accountant at Auschwitz, and Reinhold Hanning, a former SS guard at the same camp, for mass murder. At his trial in 2015, Groening apologised and sought forgiveness. He also admitted “moral guilt” although he denied any legal culpability. Like Groening, Hanning told his victims he was sorry. He admitted to being “silent all my life” about the atrocities because he felt deep shame, not having spoken about it even to his wife, children or grandchildren. Another trial against a 96-year-old former medical orderly at the Auschwitz death camp collapsed in 2017 because he suffers from dementia. Wheelchair-bound Hubert Zafke had faced 3,681 counts of being an accessory to murder at the concentration camp in Nazi-occupied Poland, but his trial ended in disarray.